I am one of those who awaits January. The fresh calendar, frozen landscape and clear skies inspire me. In the winter woods, silent scampers cross yesterday’s foot trail. Breathy frosts and papery footfalls pause between crow call and crystalline sky, and, spruce shadows taper their ink lines around the earths’ bulky mounds. I want to walk. 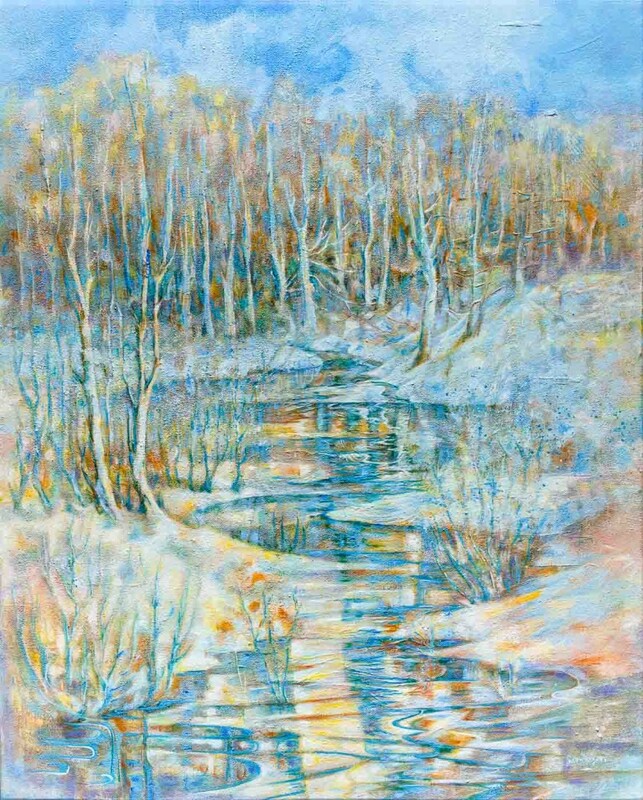 “Freeze and Thaw” (purchased 2 years ago by the Municipality of the County of Colchester) tries to show the best of this time of year.